Another fine addition to the Scorpions legacy. 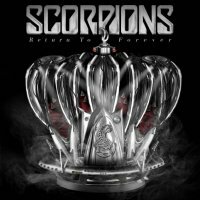 I can't help but think, listening to this new Scorpions album, that it will be the final piece in their history and the end of an era. Released to coincide with the band's 50th anniversary (take a few seconds to think about that...) there is a lot of melancholy and references to finishing and coming home that one can't ignore. Their last record from 2010, 'Sting In The Tail', was meant to be their last and the ensuing World Tour was their long goodbye, but somewhere down the line Scorpions realised they couldn't give it up, no matter how difficult it was to their aging bodies, and so we had an about turn where they decided to continue touring and make yet another new album. Of course, whilst 'Sting...' referenced their glorious 1980s period, it certainly seemed at the time that Scorpions were going out with a bang; a quite magnificent, anthemic statement so to try and top that now wouldn't make sense. So, what we have here are some newly recorded versions of songs that were never published and new material written between 2011 and last year, recorded again with producers Martin Hansen and Mikael 'Nord' Andersson that should keep Scorpions fans very happy indeed. Typical Scorpions Rockers like the declaration 'Going Out With A Bang', the anthemic older-sounding 'Rock My Car' and glorious heavy 'Rock 'N' Roll Band' that bounds along referencing the ideology that was displayed on 'Don't Stop At The Top' from 1988's 'Savage Amusement' clearly show that they haven't watered down their Hard Rocking style. Even 'Hard Rockin' The Place' adds to that Rocking legacy with its 1980s feel suggesting it's a re-worked older song. Noted for their outstanding ballads over the years, Scorpions give us three bona fide examples in 'House Of Cards', 'Eye Of The Storm', and 'Gypsy Life'. The first is melancholic and wrought with emotion whilst the second is very reflective and when Klaus Meine sings the closing statement "I'm on my way home, it's been way too long - I'm still living in the eye of the storm" it encapsulates where the band's mindset is right now. The latter sees out the album and has very poignant lyrics based on missing life on the road and going back despite losing friends along the way combined with a 'Still Loving You' emotional attachment that Meine is a master of conveying. 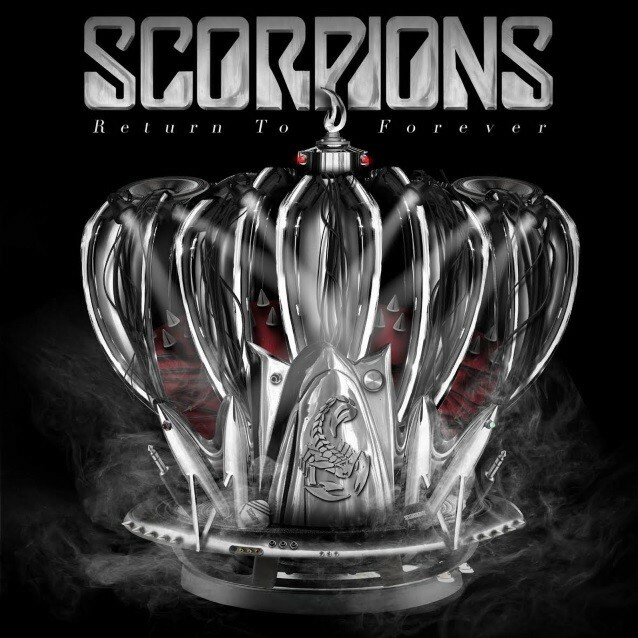 Alongside the short and snappy sing-long 'All For One', the heavy rhythmic 'Catch Your Luck And Play' and first single 'We Built This House' full of melancholy and referencing their career, Messers Rudolf Schenker, Meine, Matthias Jabs, James Kottak and Pawel Maciwoda have delivered another fine addition to their Scorpions legacy.